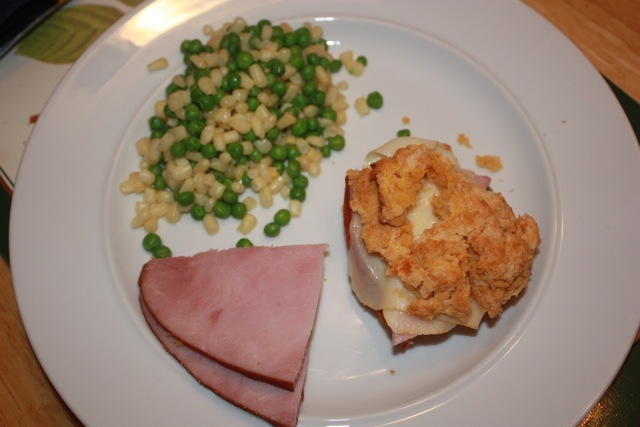 My wife found this delicious meal on FineCooking.com. Any one of these would be a great dish on it’s own, but the three together made an outstanding meal. It was also relatively quick and easy given that there’s three different recipes. 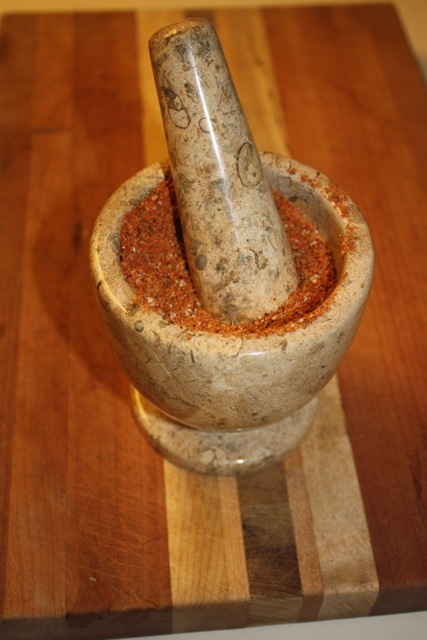 Crush the coriander seeds, peppercorns and salt with a mortar and pestle. Sprinkle with the coriander, peppercorns, and salt, pressing them on. Heat the oil in a 12-inch ovenproof skillet over medium-high heat. Cook the pork until well browned on all sides, about 3 minutes per side. Put the skillet in the oven and roast until the thick end of the pork registers 155°F, 18 to 20 minutes. Place a rimmed baking sheet in the oven, and heat the oven to 450°F. In a large bowl, toss the vegetables with 1 Tbs of the oil and a pinch of salt and pepper. Spread on the hot baking sheet in a single layer and roast until tender, 30 to 35 minutes. Heat the remaining 1 Tbs. oil in an 8-inch skillet over medium heat. Add the spices and cook until fragrant, 1 to 2 minutes. Stir in the honey and thyme and a pinch of salt and pepper. Pour the spice mixture over the roasted vegetables and toss to coat. Heat the oil in a 2-quart saucepan over medium heat. Add the onion and cook, stirring frequently, until softened, 2 minutes. Add the rice and stir to coat in the oil. Add 2-1/4 cups water. Bring to a boil over high heat, cover, reduce the heat to low, and cook until all the water is absorbed and the rice is tender, about 35 minutes. Let sit for 5 minutes before fluffing with a fork. Meanwhile, put the raisins in a small bowl and add enough boiling water to cover. Allow them to plump for 10 minutes; then drain. Well, that sounded really good, so we made it. It turned out really yummy. It was good on its own, though it would have also done well on a bun or toast. 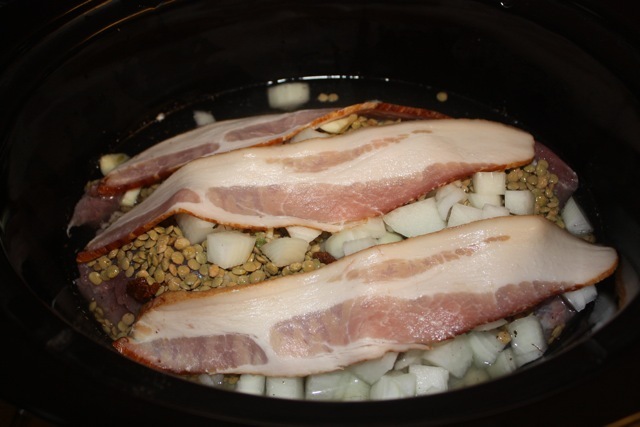 It ended up kind of like carnitas, the lentils more or less disintegrated and the kids never knew they were there. Probably add a little more water as ours dried out in some parts though our crock-pot tends to run hot I think. This recipe from Fine cooking was a great way to incorporate the summer’s tasty peaches into a main dish. 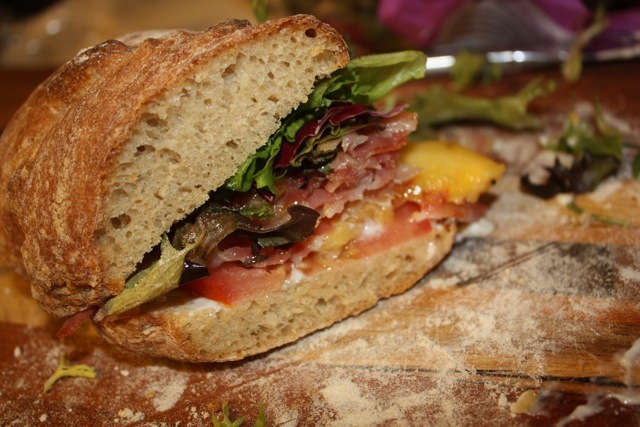 The sweetness of the peaches and the saltiness of the Pancetta were a nice compliment for each other. With the home made bread, this was a great combination! It’s hard to wrong with ribs, especially on the 4th of July weekend! Inspired by this recipe at Dinner A Love Story, we grilled us up some tasty ribs. We followed The Barbecue! Bible and cooked them on the grill though. 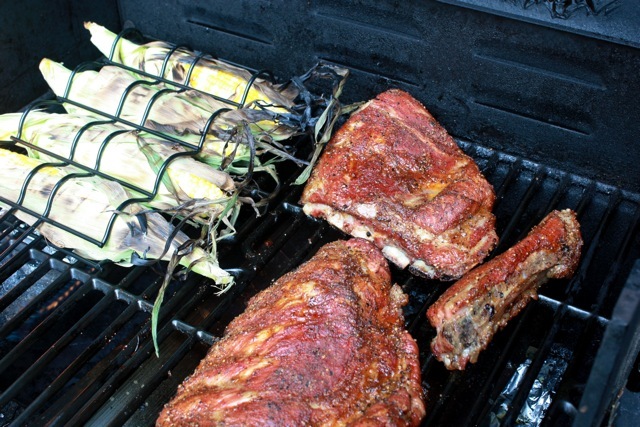 And sorry, DALS, we may have broken the law, but we served the ribs with corn on the cob! We made this recipe from Fine Cooking (also in Fine Cooking v. 102, p. 108). We used some of the Queso Fresco that we had left over instead of the goat cheese, you could also use feta or other cheese. 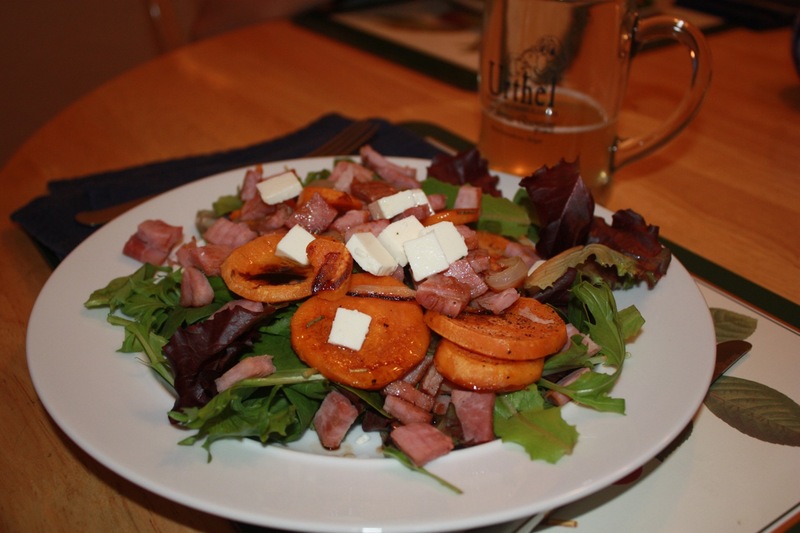 The caramelized onions and sweet potatoes offer a great balance to the balsamic vinegar–a great salad. Cut meat into 1 inch cubes; mix remaining ingredients together. Marinate meat cubes for at least 8 hours. Place on wooden skewers and grill until done. Serve with rice and green vegetable. 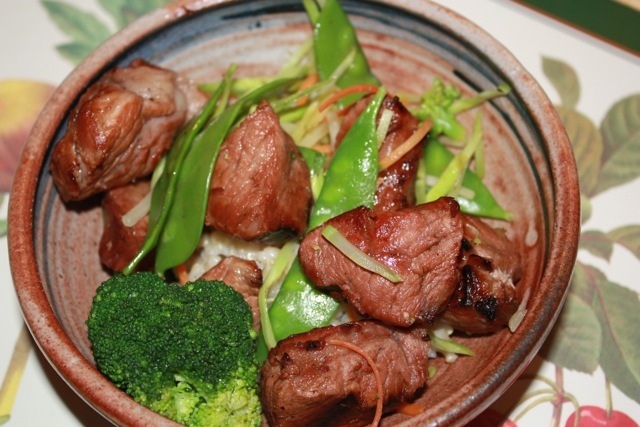 While the pork is cook on the grill, stir fry a bag of veggies (snow peas, broccoli, etc). Remove the pork from the skewers and mix in with the veggies. Serve over rice. The vinegar from the marinade imparted a great flavor. It was also nice to fire up the grill after not using it much for the winter! This appeared on Dinner A Love Story, one of my favorite sources these days. The original recipe called for braising in a dutch oven for 3-4 hours. Given that we don’t own a dutch over (why do they cost so much!?!) 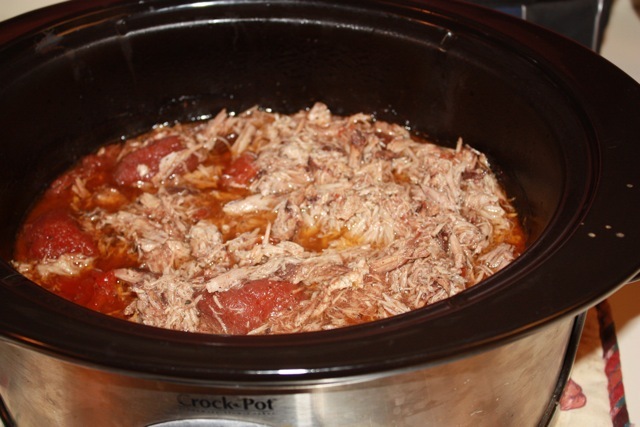 and it is much easier to put stuff in the crock pot and go off to work and come home to a tasty meal, I adapted it for the crock pot…or more truthfully, I just followed the recipe, it didn’t need any adaptation! YUM! All I did was brown the pork shoulder in a skillet first as directed. After putting the pork in the crock pot I put the red wine in the skillet to deglaze and get all the browned bits scraped up. Add that and everything else to the crock pot and cook on low for a while, I did 9 hours because that’s how long it was until dinner time! Came out yummy! Thanks for the recipe. 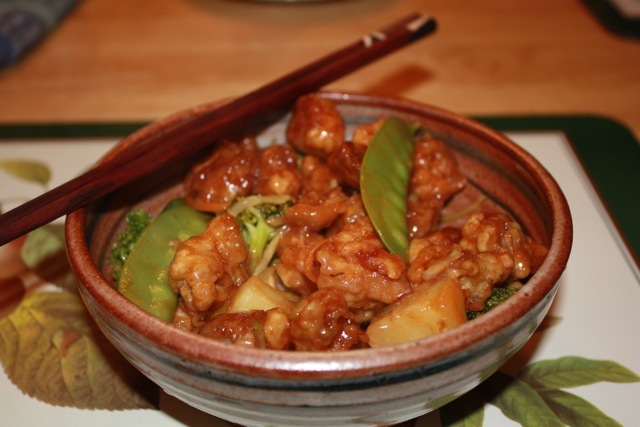 Based on this recipe, we made some really great sweet and sour pork. 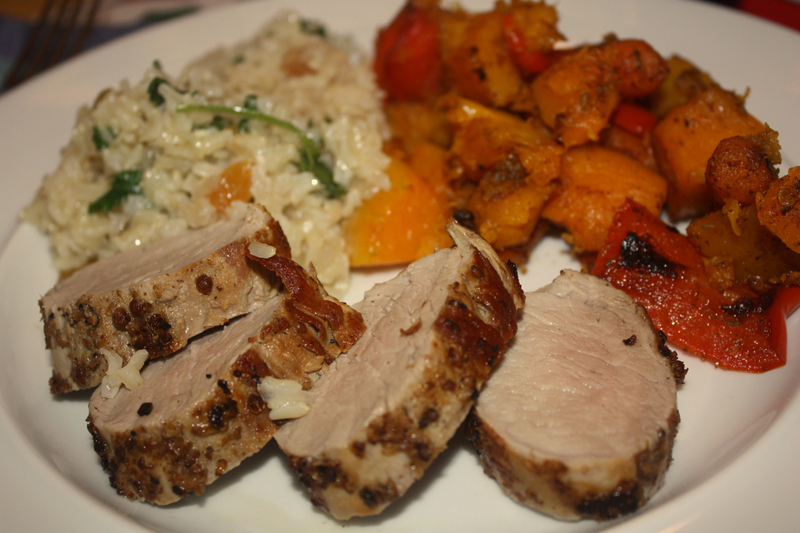 Cut pork tenderloin into 3/4 inch cubes. Dip meat into egg, then into flour. 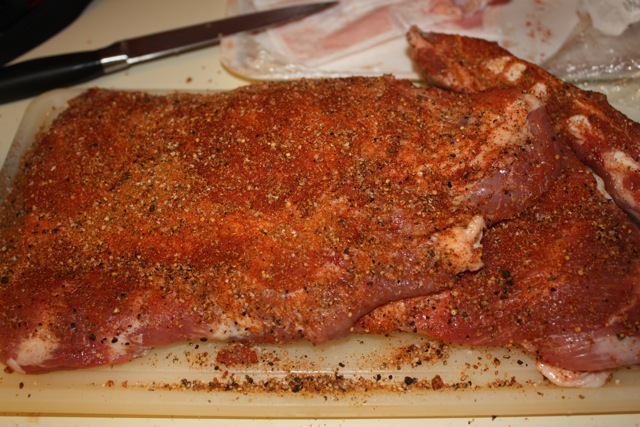 Fry pork in vegetable oil (360 degrees) for 6 to 9 minutes, until done; drain on paper towels; keep warm. In wok or skillet stir fry veggies until almost done. Combine the sugar, vinegar, pineapple juice (reserved from draining pineapple chunks) and catsup. Add to veggies and heat. Blend 2 tablespoons cornstarch with 2 tablespoons water. Stir into skillet. Cook, stirring until mixture is thick and bubbly. Add the pork and pineapple. Heat and stir about 5 minutes. Serve over rice.